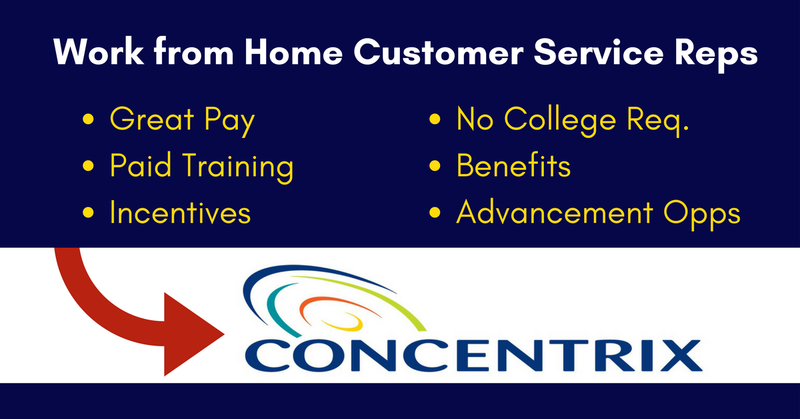 Concentrix, a legitimate company with a broad base of home-based workers, has posted openings for Full-Time and Part-Time Customer Service Representatives / Technical Support Reps to provide great experiences for their customers. Many RRRebels are working for Concentrix and have reported that they love it. Per its FAQ page, Concentrix hires from all states except CA, VT, NY and AK. “We are diligently searching for dynamic Customer Service Representatives to establish an instant rapport with customers and provide a premium experience to every customer on every call. As a Representative, you would handle inbound phone calls from customers, assisting them with account information,with purchasing information, specific content or account authorization. You would also process refund requests, provide promotion song and video codes troubleshooting and resolve advanced technical issues while supporting one of the largest technology companies in the world. You are not timid when it comes to learning new troubleshooting methods and an eagerness to pursue and master new challenges. Your verbal skills allow you to communicate, adapt and simplify complex technical resolutions to each customer. Keyboarding skills at a minimum of 35 wpm. This entry was posted in Customer Service Jobs, Hiring Companies, Jobs with Benefits, Part-Time Jobs, Work at Home Jobs and tagged Concentrix. Bookmark the permalink.